The UK’s advertising watchdog says that generic lifestyle campaigns urging people to improve their health by vaping instead of smoking may fall foul of EU law. 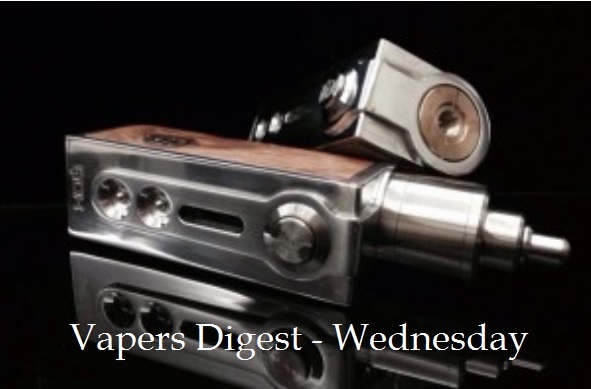 The Advertising Standards Authority (ASA) today upheld an anonymous complaint made about an advert for a e-cigarette shop Vape Station, in the magazine The Journal. Harm reduction debates are important in health policy. Although it has been established that morality affects policy, this article proposes that perspectives from moral psychology help to explain the challenges of developing evidence-based policy on prohibition-only versus tobacco/nicotine harm reduction for minors. A travel agent is urging others to tell their customers not to vape in Thailand as they could face up to 10 years in prison. Pat Waterton, manager at Langley Travel, said she was unaware of the ban. She only learnt of the law when her nephew James was forced to pay £125 as an on-the-spot fine after being threatened with jail for having an e-cigarette in Bangkok. Lawmakers in Rhode Island passed a measure Monday raising the legal purchasing age for tobacco products, including e-cigarettes, from 18 to 21. The decision from the Barrington Town Council caught small business owners in the community off guard, especially owners who primarily sell vaping products. Doctor William Stephens, at the School of Earth & Environmental Sciences, University of St Andrews, has produced a paper looking at the cancer-causing potential of electronic cigarettes compared to that of smoking tobacco cigarettes. Unfortunately the science is being submerged underneath an outburst of stupidity from California. Debate over the Food and Drug Administration regulation of e-cigarettes often degenerates into bitter argument and ad hominem attack. In contrast, a recent point/counterpoint presentation in the Journal of Policy Analysis and Management is calm, thoughtful and enlightening. Scientists like myself are often frustrated by “denialists” who refuse to acknowledge global warming, disseminate false information about adverse effects of vaccines, or – historically – failed to acknowledge the severe health effects of cigarette smoking. But I never expected this denialism to be coming from within my own movement in public health. Some public health myths, no matter how absurd or consistently refuted, just refuse to die a dignified death. One of the most pervasive is the claim that the more teens see tobacco in movies the more likely they are to pick up smoking. Every time a new study comes out documenting tobacco use on the big screen, a minor panic ensues. An internet survey carried out by the Centre for Substance Use Research” and directed by Christopher Russel and Neil McKeganey addressed the potential consequences of the American FDA’s deeming regulations of vaping products. In a market frozen since August 8, 2016 the researchers tried to understand how american vapers would intend to manage their consumption. In a country where about 9 million people use e-cigarettes, the new regulations produced by the powerful FDA are likely to create a dangerous black market, as suggested by the study. Dozens of fuming vapers gathered on the steps of the Victorian Parliament sending plumes of vapour towards the MPs who have introduced new laws regulating e-cigarettes. Supporters of vaping say the devices are a far healthier alternative to smoking tobacco and can help smokers to kick the habit. But many health experts dispute their claims and remain sceptical about the supposed benefits of e-cigarettes.